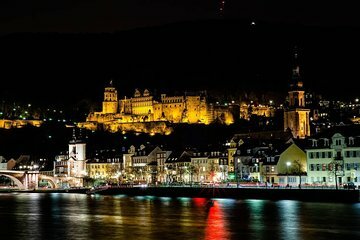 Picturesque Heidelberg, located on the banks of the river Neckar, has inspired artists, students, and writers for centuries. Learn what makes the city so unforgettable on this in-depth walking tour, which covers the Old Town, the Student Jail, the University, and Charles Bridge. Tours depart every hour, so you’ll be sure to find a time to fit your schedule. Francesca was an amazing guide!! Highly recommend! She was so knowledgable, friendly and gave us a wonderful tour of everything that was planned as well as some spontaneous add ons.